The Pebblestone Cottage is a charming cottage with three bedrooms and two full baths. Paneled in wormy chestnut and with hardwood floors, the living area provides a comfortable, open ambiance. 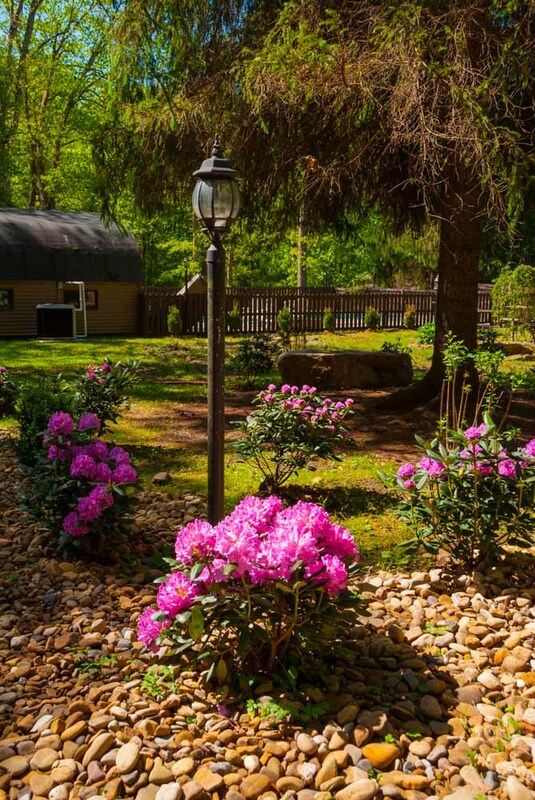 This serene home comfortably sleeps five with a King, Queen, and one Twin Bed. For the perfect meal times, the Pebblestone Cottage features a charming fully equipped kitchen, including cooking utensils and a large dining table to spread out and dine comfortably. Two full bathrooms make it convenient for our guests…no waiting in line. 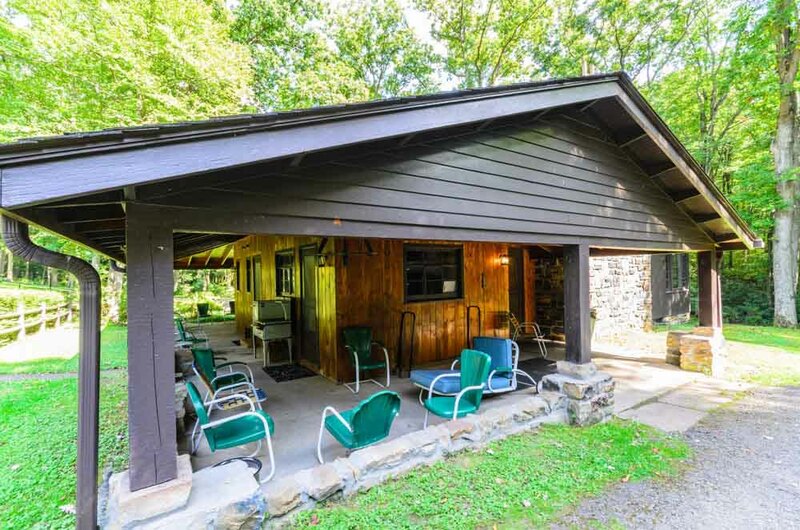 Relax and unwind on the covered front porch, while enjoying the tantalizing aromas from the barbecue pit and listening to the crackling flames of the outdoor fireplace. 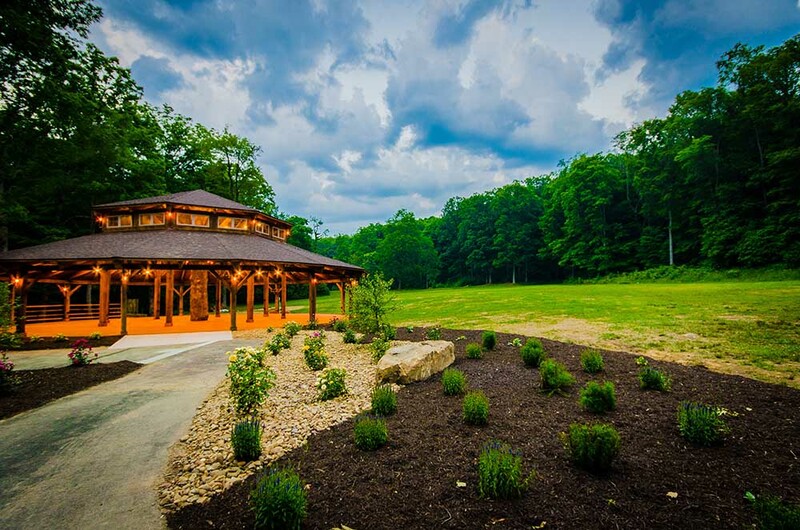 TNestled among the woods and trees, deep in the privacy and serenity of the enchanted woods at Fernstone Retreat, the Bridal Treehouse is a wedding dream. Hand-crafted of natural timber with an elogated staircase leading to the bridal suite, the Treehouse is awe-inspiring. Imagine spending your wedding night and weekend being lulled to sleep by the rain on the roof, by the singing of the birds, by the whispering of the pines that lie outside your window. 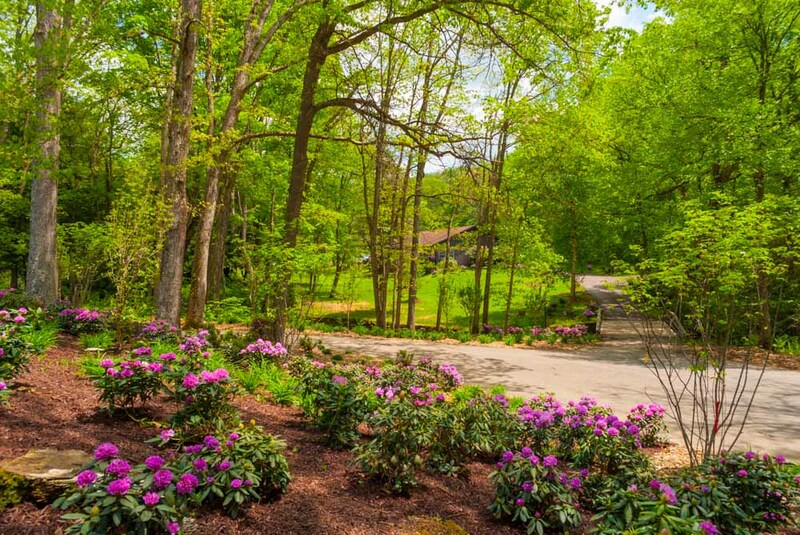 Enjoy the hardwood floors, the vaulted ceilings, the luxurious glass-doored, pebblestone-floor shower, and the ambiance of complete serenity in the trees, away from it all. Be our guest. 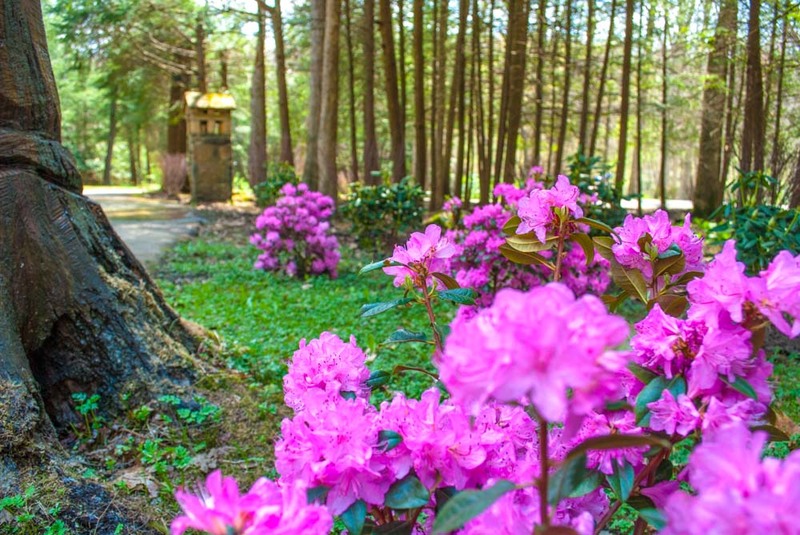 The Corral is Fernstone Retreat's Main Lodge. 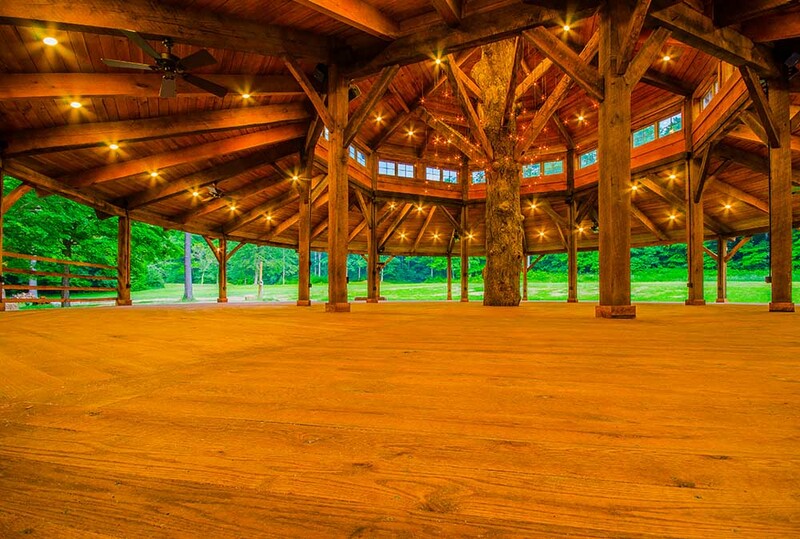 Warm, rustic and inviting, the Corral is the perfect spot to host the important gatherings of your function or special event. 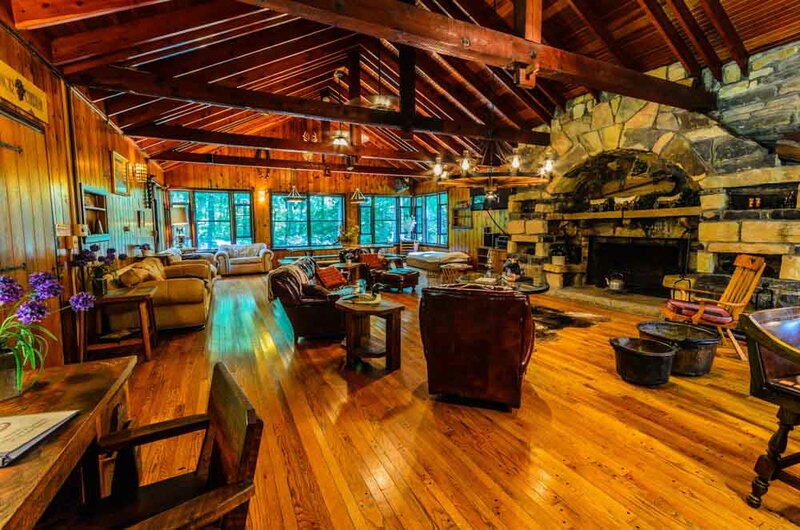 Rich wood paneling, a grand stone fireplace, cathedral ceiling with plenty of comfortable seating and dining areas that are sure to provide hours of enjoyment and comfort. Just outside the Corral is a wrap-around covered porch, a large pavilion for el fresco gatherings, outdoor fireplace and parking area. The Pit is Fernstone's center of excitement. 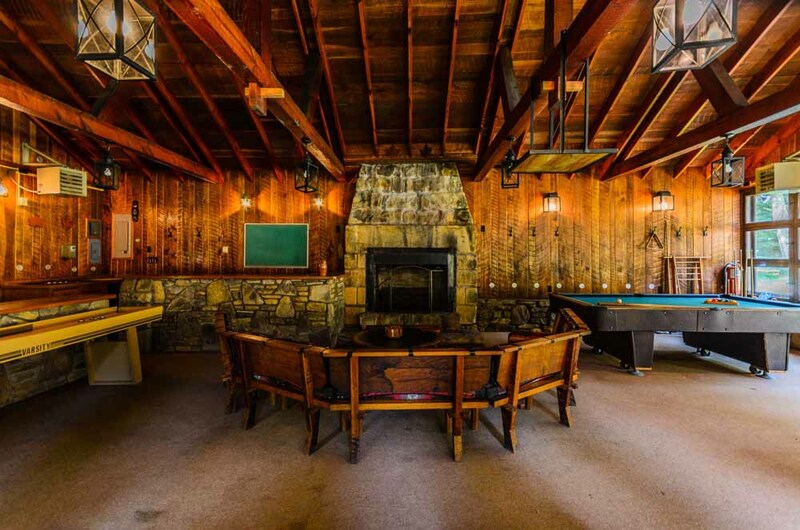 Styled within the same rustic fashion as the rest of the retreat property, The Pit offers hours of enjoyment with games and fun. Bumper Pool, Ping Pong, Shuffle Board and Board Games, provide entertainment for all ages. 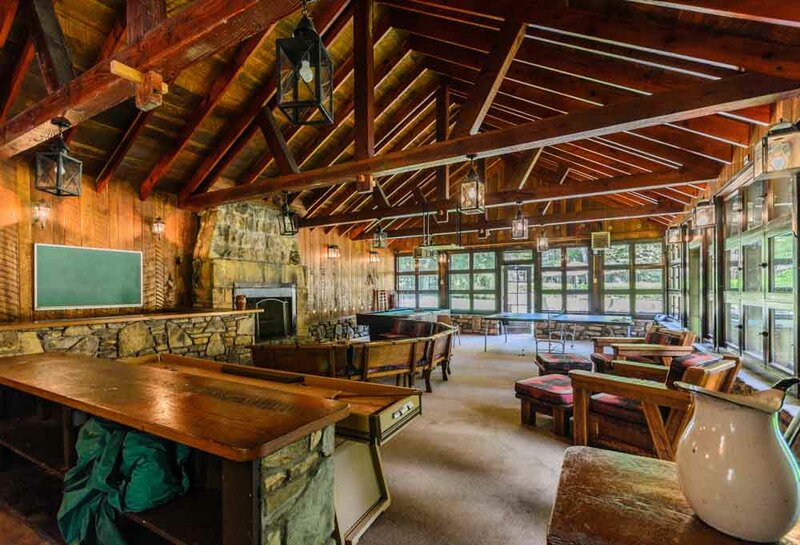 Complete with a piano, wood burning fireplace, a mini kitchen with two bars including a wet bar, stove and refrigerator. 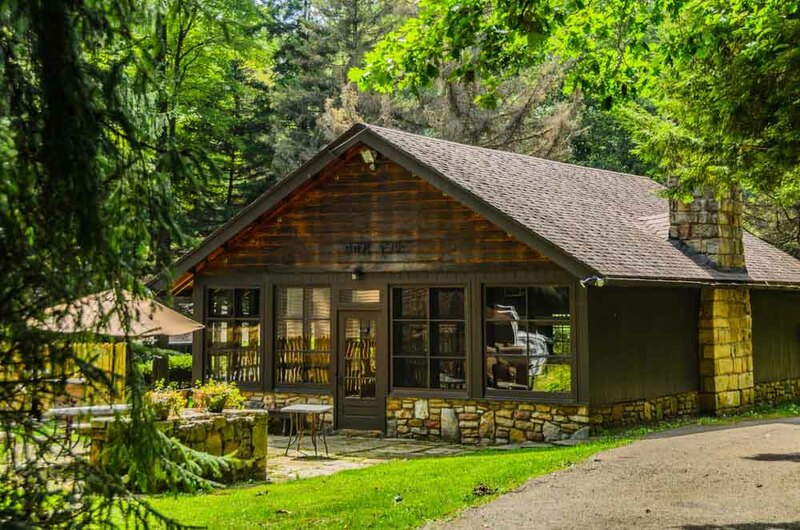 The Bunk House at Fernstone Retreat offers four separate suites and a large sleeping porch with enough beds to accommodate up to thirty guests. Each suite comfortably sleeps six guests with two full beds, bunk-bed and a full bathroom. 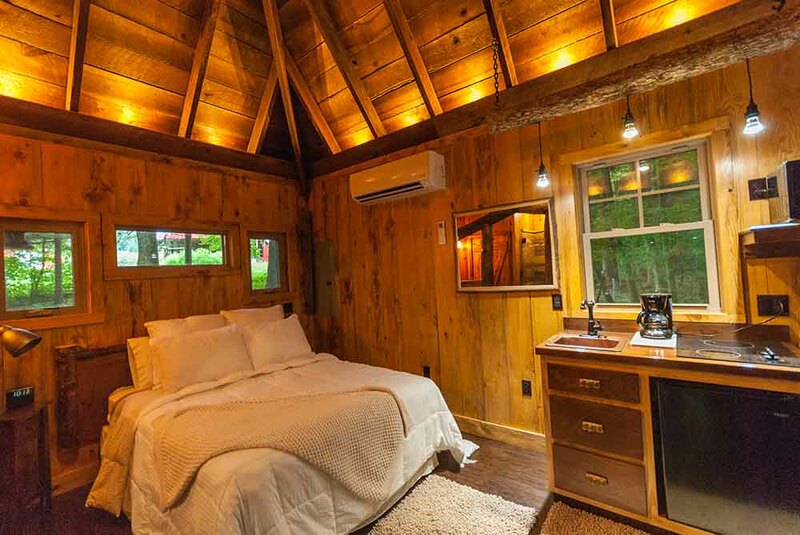 The sleeping porch hosts rustic single beds that overlook the waterfall and surrounding woodlands. 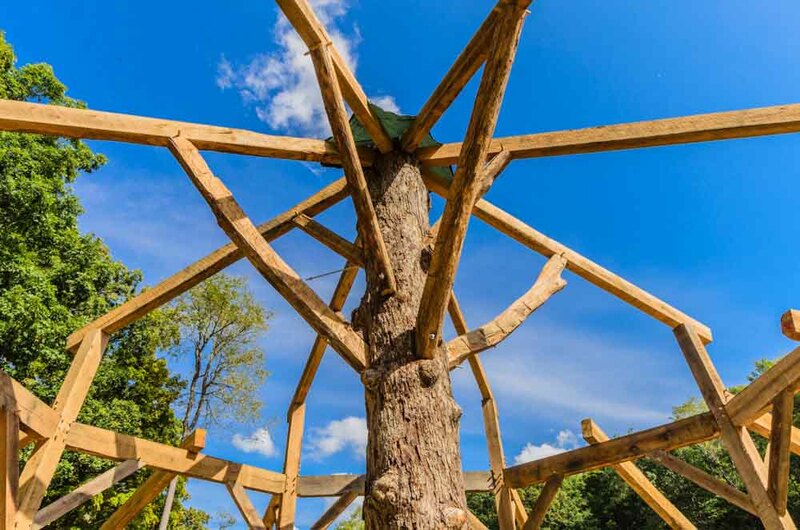 Supported at the center by a 400 year old Oak Tree found on the retreat property, and secured by traditional timber framing with rough cut pillars and beams the Grand Oak Pavilion at Fernstone is going to provide our guests with a wonderful indoor/outdoor amenity suitable for all manner of entertainment. 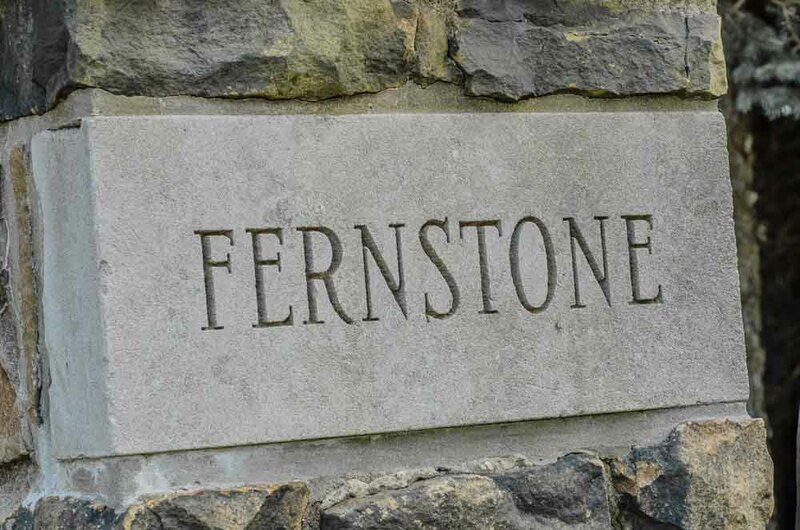 Newly Renovated in the Summer of 2014, the Fernstone Pool becomes the heart of the property on a hot summer's day. 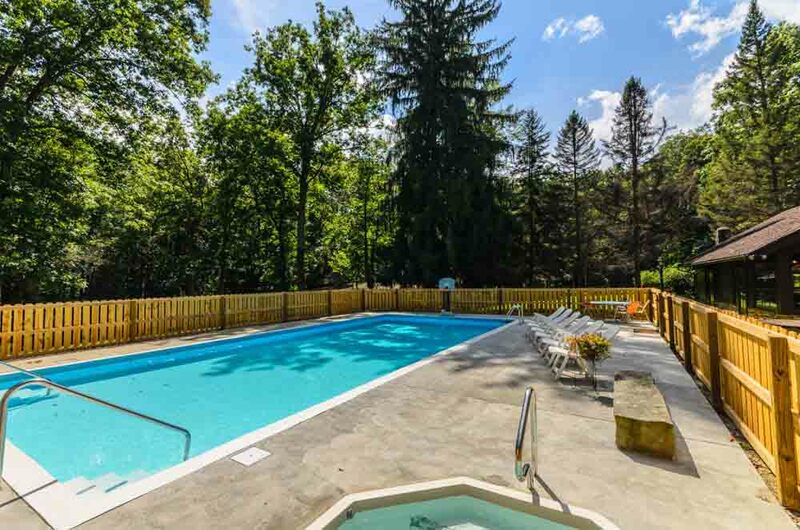 Brand new concrete patio, wooden fencing and the addition of a large hot tub ensures hours of entertainment day or night! 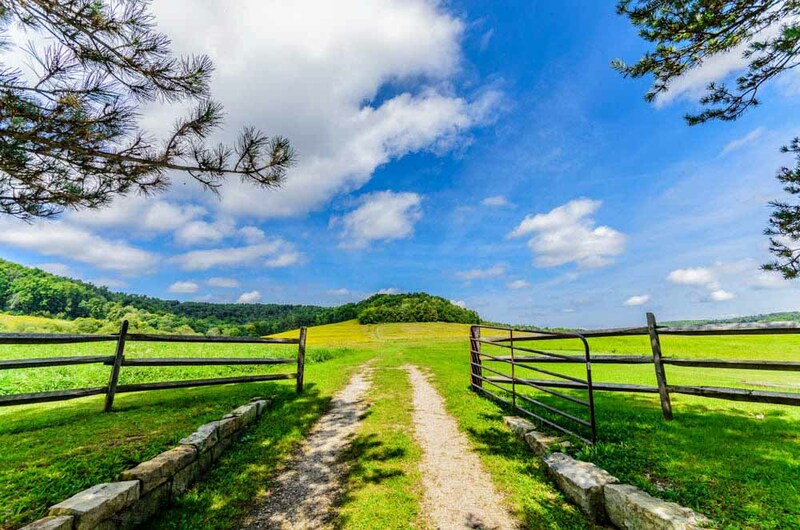 With 450 acres of lush Appalachian terrain to explore, you will lose yourself in the natural beauty of Fernstone! 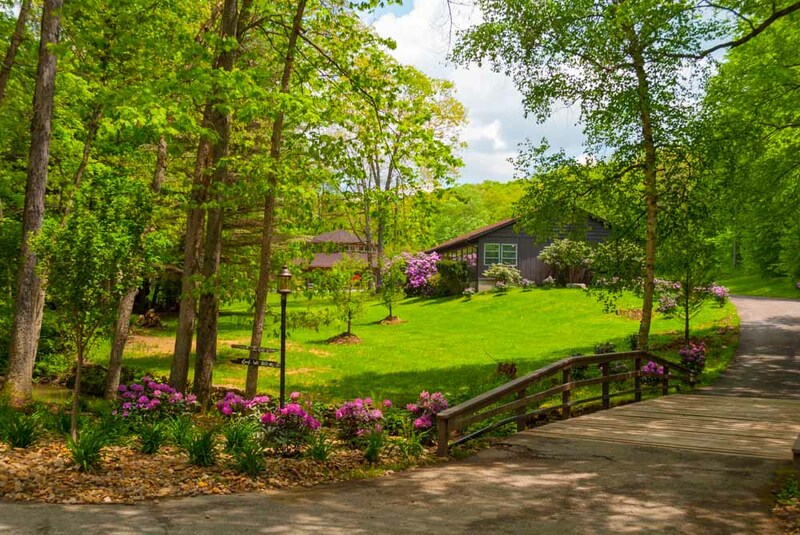 Two stocked fishing ponds, a private section of mountain trout stream with waterfall, miles of forested trails, and much more awaits.